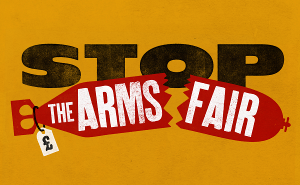 The links between austerity and arms trade spending are complicated and – sadly – plentiful. The links were expanded on in the recent New Internationalist magazine’s July/August 2013 issue on debt. While bailout conditions impose austerity on debt-stricken southern European economies, demands to tighten the belt on military spending are not so vocal. According to a recent report from the Transnational Institute (TNI), the German government, while demanding social cuts, has been lobbying behind the scenes against cuts to military spending in countries such as Greece, because of concerns for its own arms industry and the debts it’s owed. Where cuts to military spending are being made, it’s mostly to personnel and wages – not what the TNI calls ‘toys for the boys’. Arms manufacturers based in the large EU economies, although feeling increased competition, still see a boom in profits thanks to the continued spending. European leaders such as David Cameron and François Hollande have becoming travelling salespeople for their arms industries, promoting to countries with questionable human rights records. Read more details, as well as the rest of the issue, on NewInt.org.